Free lance crochet design has been very very good to me. I adore all my publishers, magazine editors, yarn company design directors and I have come to an understanding with most crochet technical editors. But my crochet whisperer friend, Vashti Braha, has encouraged me to test the waters with a new line of self-published designs. Her website, DesigningVashti.com, launched last summer, is now the home of DJC Designs. Lattice is a top-down seamless garment design worked in a simple but striking lace stitch pattern. 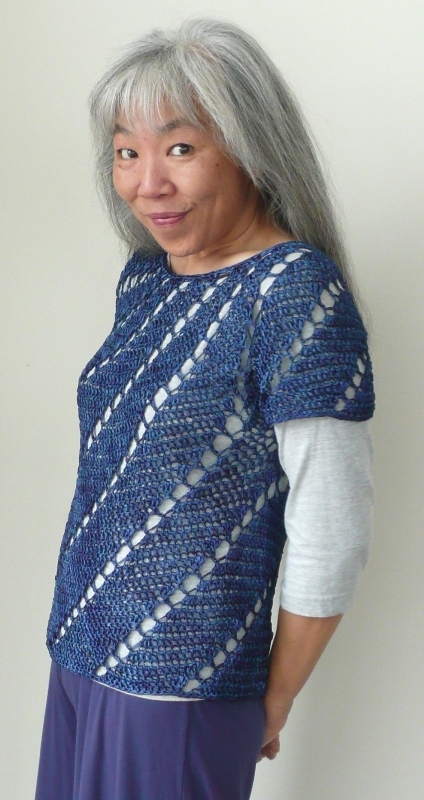 Thanks to the lustrous, perfectly spun and twisted yarn, DesigningVashti Lotus, this top gives the impression of a loose-gauge mesh; but unlike some open fabrics, this is one is sturdy, won’t pill, shred, catch or worm out of shape. There are 13 proportioned sizes, from Girl 28, (around Girl Size 8) through Adult 56 (3XL to 4XL), with plenty of stretch in the fabric; which size you choose to make depends on how you like your top to fit. 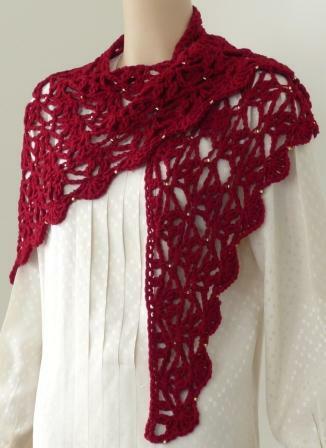 A collection of three lace shawls, each designed with two balls of DesigningVashti Lotus yarn. 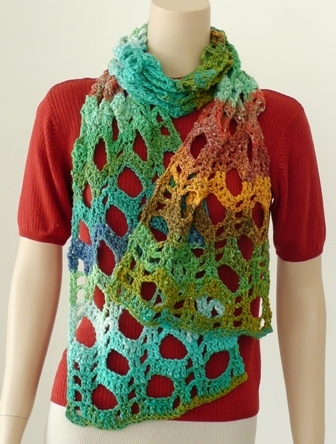 Welcome to my first indie pattern in support of DesigningVashti Lotus yarn. When Vashti Braha and I developed Lotus, we imbued it with all the attributes and qualities we wanted in a yarn for crochet. We couldn’t help but love it. Now we had to find ways to spread the love. 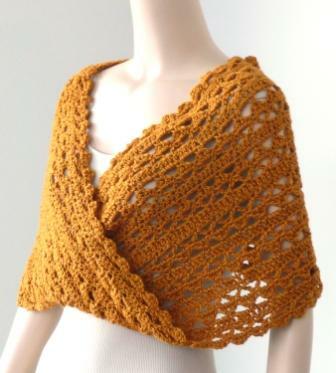 Lotus Bolero is my choice for introducing you to the wonders of this yarn. Requiring from one to three big skeins, it is a short, sweet sleeveless vest that works up quickly. This pattern includes sizing for girls and adults, to fit chest/bust measurements 24” through 54”, so most everyone can haz a Lotus Bolero. It’s lightweight, adaptable, attractive, packable, squish-proof; a layer you’ll reach for all year round. 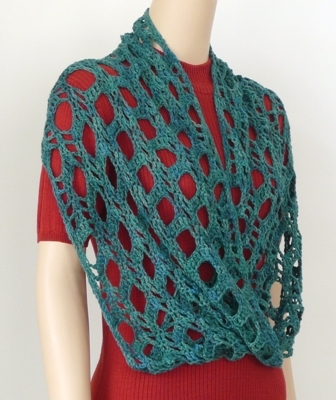 And may I suggest that Lotus Bolero can be the quintessential garment project to show off at the next crochet conference, perfect for potentially drafty exhibit halls and classrooms (hint-hint). AND it looks great over geeky fan-girl T-shirts, too! 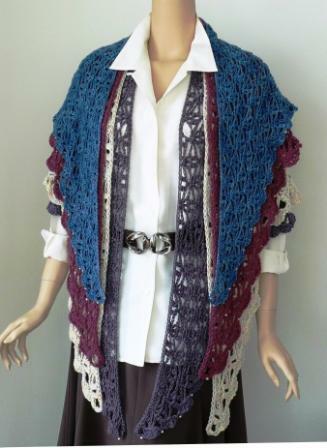 A filet crochet design, with instructions and filet charts for a single width scarf and double width stole. Even if you don’t give a toss about Chihuahuas or filet, this pattern has much useful information. Here is the lace topper you are going to want in your wardrobe NOW. The design is newly revised for better drape and fit, with a lovely round contoured neckline, stunning lace stitch pattern, deep full fit through the arms, and a swingy trim. 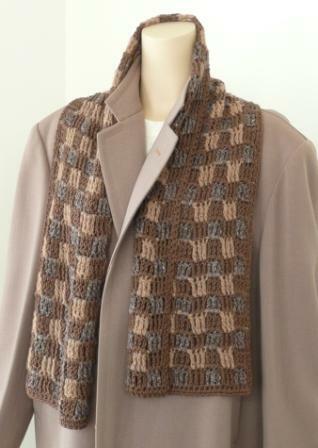 The booklet length pattern offers more sizing and length options than the original. Four generous sizes brilliantly cover a range of bodies and shapes from XS through 4XL, perhaps 5XL. It looks wonderful on every woman who has tried it on. I first encountered spiraling stitch patterns as the centers of traditional thread crochet doilies. It’s fascinating to me how the swirls begin from a center point, then expand outwards in ever widening arms that wrap dizzily around. Spirals appeal to me so much that I have incorporated them in quite a number of my garment designs. One in particular, Sophisticated Swirls, published in Crochet! Magazine, July 2004, and now out of print, has continued to draw interest from crocheters. 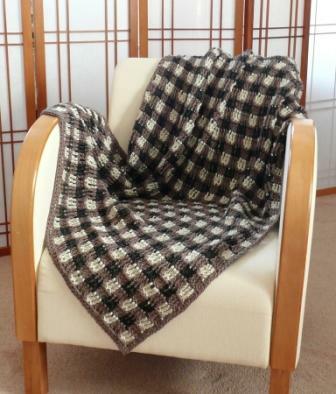 The rights to that design, the written pattern and finished samples do not belong to me. What I do here is revisit the concept of the spiral stitch top in booklet format. Finally, in self-published download land I can now say all that I ever wanted to say before but couldn’t, with fresh samples in some of my favorite yarns, detailed and revised instructions, tips for yarn substitutions, interior shaping and getting your perfect fit, awesome stitch diagrams and expanded sizing that now covers the range from XS through 4X with 12 sizes. 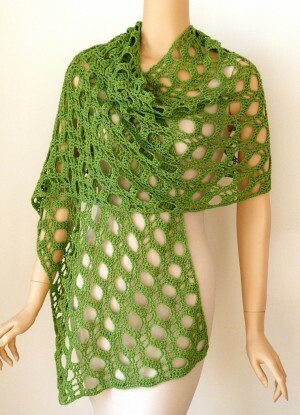 The top itself is quite simple, totally seamless and doable by anyone with solid basic crochet skills. 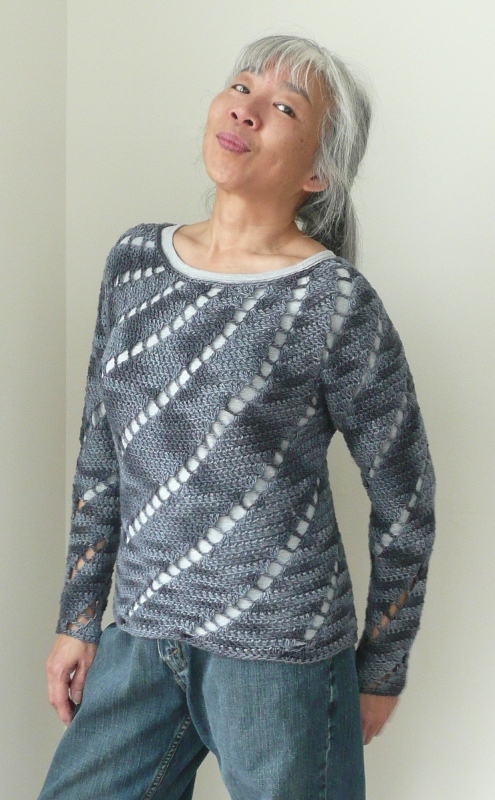 Of all my top-down garment designs, this is the one toward which I would steer wearable crochet newbies because it is less complicated than my usual MO, with a forgiving fit that is easily altered and allows for fixes after the fact. For the experienced crocheter, DJC: Spirals offers a quick to crochet, fun way to use different yarns or experiment with body shaping and style variations. This booklet contains the lacy sock weight Trellis stole, originally published in the e-mag Knitcircus, Spring 2011, plus two new versions: Trellis Multi Scarf in full worsted weight, and Trellis Cowl Wrap in DK weight. The pattern includes full written instructions, stitch diagram, tips for making any of the three versions in practically any yarn, plus the usual DJC extras. 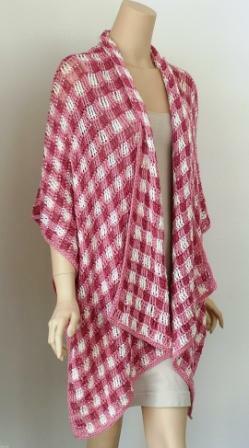 A pattern booklet with full crochet instructions for a set of plaid projects: Plaidghan, MoBigPlaidghan, PlayPlaid Scarf, PlayPlaid Muffler and PlayPlaid Wrap. How often does a designer get the chance to revisit a design? 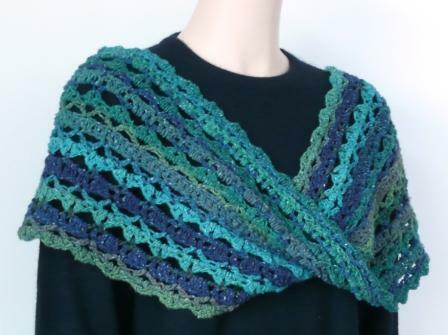 Not just a reprint, this new edition of the Triangular Shawl, first featured in the now legendary premier issue of Interweave Crochet 2005 is a fresh take, with new stitch diagrams, instructions for sizing, yarn and gauge substitutions. Created for myself to wear while shoveling snow (don’t ask), this lacy cowl employs moebius construction, crocheted from the center outwards. 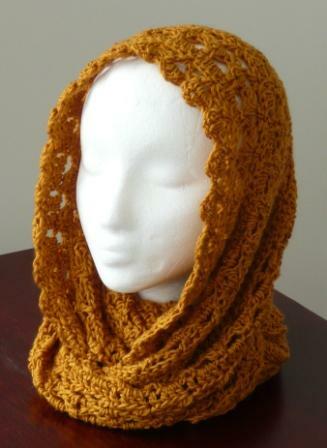 It is shown in cozy winter yarns but with a few tweaks you can make this cowl as a lovely lacy wrap for spring/summer. 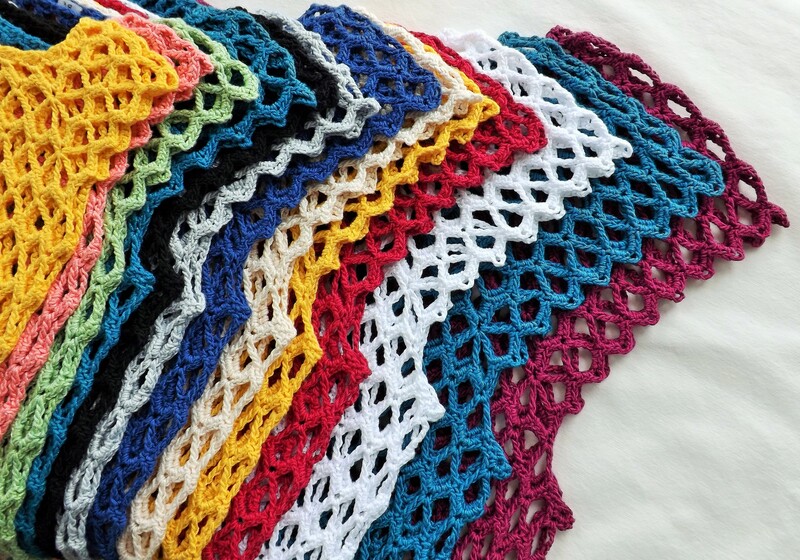 In response to crocheters clamoring for smaller scale seamless garment designs, I am working on a line of patterns sized for girls, tweens and teens. 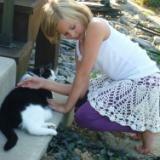 A seamless lace tank or vest sized for Girl XS/6 (S/8, M/10, L/12, XL/14) and Junior XS/1 (S/3, M/5) in two lengths. DJC2: Cardi Girl and DJC2: Rainbow Girl coming soon! 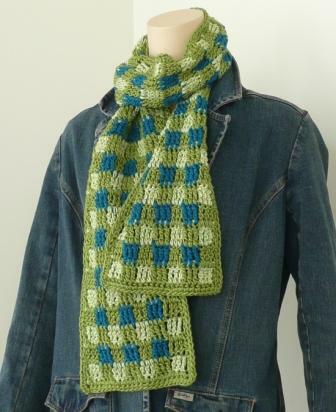 Is the snow day cowl published in any of your books as well or is it only available as a stand-alone pattern? Thanks for your interest in this design. DJC: Snow Day Cowl is available exclusively as a pattern download from DesigningVashti.com. Sorry about that, Christine. I checked the archives and found the original Sophisticated Swirls Pullover is in the July 2004 issue of Crochet! magazine. How do I find the pattern for the beautiful midnight lace dress. I cannot locate a copy of the Crochet Magazine in which it was originally published. Yes, please! Where is it published? I can’t find the info. Have you considered reprints? / eprints? Sorry, Caroline and Ceruleana Phoenix, Other than pointing you to the original publication in Crochet! magazine, March 2008 issue, there’s nothing I can do. Although I designed the dress, the rights to the pattern do not belong to me; such is the nature of free-lance crochet design. It is entirely up to the magazine whether the pattern is made available in any form.